Deciding it’s time for your loved one to enter an assisted living facility is never an easy or light decision to make. However, making the choice that’s right for your family is beneficial to all parties involved. Choosing assisted living for your loved one in no way, shape or form indicates you as a failure—often times, it’s best for the both of you emotionally and medically. 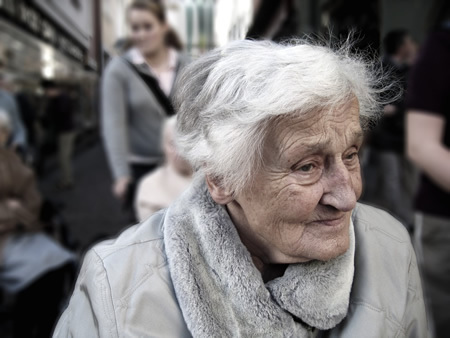 Here are several signs it may be time to consider an aged care facility. 1. They’re suffering from Alzheimer’s or Dementia. If this is true for your loved one, they’ll eventually need to be monitored around the clock. While there is no cure for either ailment, ensuring they’re carefully watched and always have necessities at their disposal is a must. On the medical side of things, having them live in an aged care facility can help them have easier access to a team of doctors and staff that are trained extensively in managing their specific needs. While it’s incredibly hard to part with your loved one as they enter as assisted living facility, you’ll always be able to visit them as frequently as you’d like to. 2. A doctor has recommended professional care. When your loved one’s medical team recommends they may benefit from living in an assisted living facility, it’s time to seriously consider that option—after all, a doctor’s recommendation is always in the best interest of the patient. If you’re struggling with the decision, talk with your loved one’s physicians about why they think it’s time to consider assisted living. Many physicians recommend it to ensure the overall health and quality of living for the future resident. 3. It’s financially more convenient than in-home care. While this may be a shock at first sight, choosing to have your loved one reside in an assisted living facility can actually be less costly than your current in-home care option. How? As your loved one requires more and more attention, in-home care costs can rise exponentially. In an assisted living facility, fees are generally set and come without surprises. When you begin your search, it’s best to tour a variety of facilities to see which one feels most like “home” to your loved one. You should also inquire as to what types of activities, meals and medical access your loved one will have. Most, if not all, assisted living facilities will be more than happy to answer your every question. 4. Your own health may be declining. When you notice your own health is declining due to the care of your elderly relative, it can be a tell-tale sign that assisted living may be a better option. After all, if you’re not well enough to care for your own health, it’s impossible to help anyone else. You may notice that your blood pressure has increased, anxiety is on the rise, you’re experiencing more headaches than usual and may even be dealing with unexpected gastrointestinal issues. Declining health doesn’t necessarily have to be associated with increasing age, but also stress. Many children of elderly relatives find that caring for their parents brings on a world of stress and emotional instability that they’ve never known. In many cases, continuing to care for an elderly relative can also place great burden on certain relationships—especially marriages. For the sake of your own family, assisted living can be a blessing for all. 5. You don’t feel that you can provide them with the care they need any longer. While this can be a hard pill to swallow, it’s ultimately in the best interest of your loved one. Recognizing that they may need care that you can no longer give them is a step in the right direction when it comes to selecting an aged care facility. In many cases, home-caregivers feel they can no longer give the elderly relative everything they need to function to the best of their ability while living out their golden years. If this sounds familiar, consider searching for an aged care facility near you to tour—chances are you’ll be able to find one that can provide everything they need and more. Wondering if assisted living is right for your elderly relative? The best thing you can do is search for a facility near you and schedule a tour. In many cases, getting over this first step can help put your mind at greater ease.